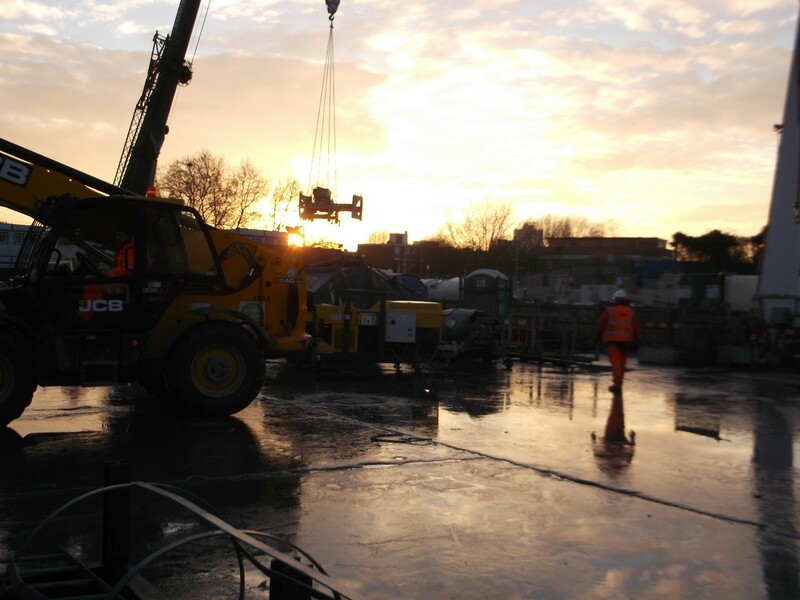 When Crossrail required some cross-passage drainage to be installed to ensure easy flow of storm water through their new tunnels, they hired Terra Solutions due to their unique placement as one of the UK & Ireland’s most experienced Front Steer Augerboring Contractors (We previously performed the UK’s first Front Steer Augerboring project). The Front Steer Augerboring process allows for the accuracy of the Guided Auger Boring Method, while also providing the ability to work in non-displaceable and weak rock ground conditions, whilst maintaining the lower cost per metre of traditional Auger Boring versus more complex methods such as microtunnelling. Front Steer Augerboring also requires a much smaller site footprint than Microtunnelling, has no need for a pilot rod system and can jet fluid through the head to better adapt to changing conditions than other methods. Therefore it was the perfect method to install the 300mmø Cross Passage Drainage system at 11 different locations throughout the new running tunnels. 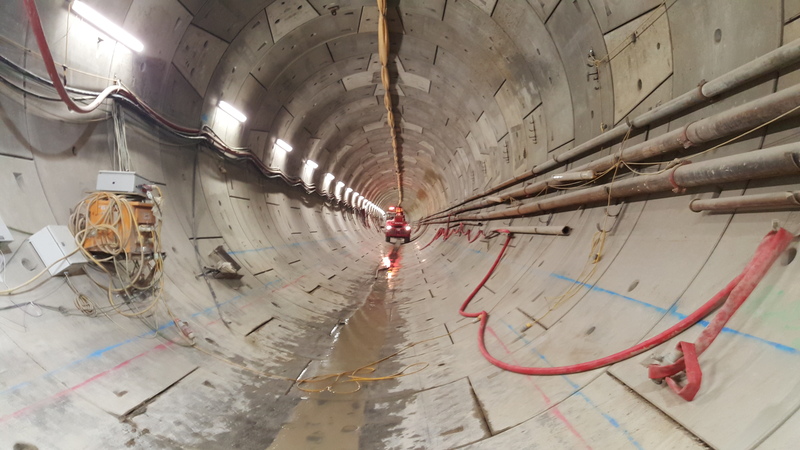 Taking place underneath one of the busiest urban environments on earth in London City Centre, the Terra Solutions Team headed underground to complete their contract. The Front Steer Augerboring Rig arrived on a number of flatbed lorries, and were delivered and prepped according to bespoke traffic management and lift plans. After the complex assembly and set up of the jacking rig, work could begin. Partly operating like an Auger Boring system, the jacking rig had to be established, and line and level set before the seal ring could be attached to the shaft wall. When the rig was fully established, the Front Steer Head itself was lowered into the shaft, ready to bore. The hoses were carefully installed for both the hydraulics and the jetting system, ensuring they were safely out of the way of moving parts. 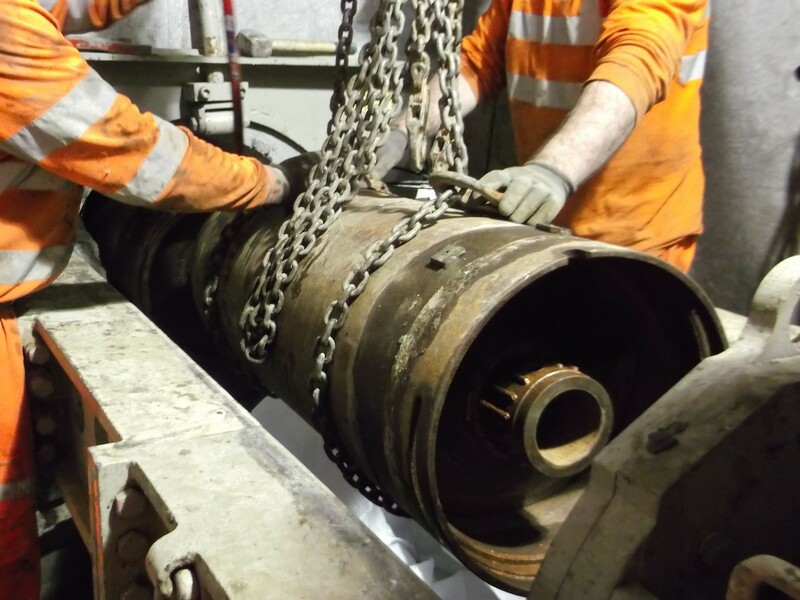 A 600mm opening in the shaft wall allowed the Cutter Head to be launched into the earth beyond. According to a detailed plan, taking into account as much of the data about the local terrain as was possible -with strict thrust boundaries and limits- the Terra team began to advance the eliminator, utilising the jetting assembly when necessary. These jets help to keep the assembly cool, provided fluids to minimise clay balling and also to remove spoil. Throughout the process, care has to be taken to ensure that the hoses did not get pinched, depriving the unit of hydraulic fluid or even power. Behind the cutter head, casings and augers were added until the cutter head unit reached the reception shaft. The reception shaft was a 900mm x 500mm catch pit in the tunnel invert, hitting this small target required operating skill and experience. Installation of the pipework could now take place. With an adapter attached to the same jacking rig, and using a soft piece of wood (MDF) to act as a cushion between the pipe and the rig, the thrust was increased and sections of pipe installed sequentially. These sections displaced the casings into the catch pit, and these were removed by the attending excavator, which was mounted on a tunnel locomotive. Terra Solutions completed this contract on time and on budget. 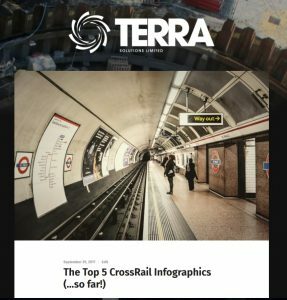 Bringing one of the more advanced of the trenchless technologies to bear in a crowded subterranean environment as part of a much larger scheme, consolidated Terra’s position as one of the UK & Ireland’s leading Trenchless Tunnelling contractors. Find our other Front Steer Auger Boring projects here.